Young people have the potential to be important agents for social change. 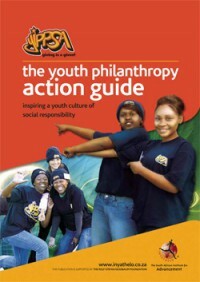 This book is a fun, exciting and practical guide for teachers and learners who want to inspire a culture of social responsibility and giving among the young people at their schools and in their communities. The handbook gives great ideas, activities, practical advice and tips as well as really useful information on the donor world, fundraising, drawing up budgets, event planning, using the media and much more. It also provides templates which learners can use to organise and monitor their fundraising efforts.